It means that you get a reliable and solid partner. We help you through the whole construction process, from the first tentative questions to the final warranty inspection. High quality products and many years of experience combined with sound and solid finances make us a reliable and solid partner. This is one of the reasons why Balco are Europe’s biggest name in balconies. Balco is BIM compatible. This means that we have developed a 3D catalogue with our balcony products that can easily be adapted and used as drawing documentation. 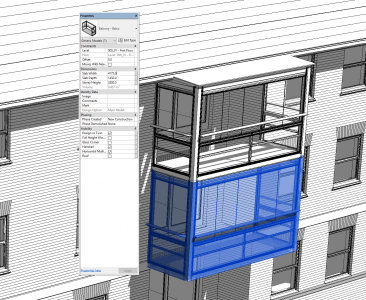 Balco’s balcony products can be downloaded as Revit files and serve as a “drag and drop” function for your drawings. For those using ArchiCAD, please contact Balco for IFC files.